For a country that aspires to become the growth engine of the world, and an economic superpower, it is imperative that largest part of the population –the youth- are trained to meet the challenges of the international business and market. When one considers this, it seems to be a worrying scenario for India because the youth we are turning out as graduates are barely employable and children studying in school fail to catch up in basic reading skills and arithmetic. Education in India is never a simple affair because India is a vastly diverse country with its people speaking different languages and hailing from different backgrounds-economic and cultural. However, they all require to be united for the vision of economic superpowerdom because unless the country moves in the same direction with the same goals, it would not be possible to translate it into reality. Education has the responsibility to do it and equip the young minds with the requisite skills and competencies that the world demands today. In India, education policy leaves a lot to be desired because we do not take the global best practices into consideration while planning country’s education. For instance, if internationalization of education is the order of the day, schools in the country should work toward competing in terms of PISA and for this, teachers have to be trained and students have to be equipped to perform in terms of these global parameters. When that happens at a large scale, in fact at a national level, India will figure somewhere in top 10 in the list of countries with respect to PISA rankings. It is remarkable to note that the countries which are doing well today in PISA rankings are unlikely but deserving countries such as Finland, Singapore and South Korea. The Times of India remarked about Indian scenario in 2012: India’s poor performance in the Programme for International Student Assessment (PISA) tests (India ranked 71 out of 73 nations) sparked a raging controversy about the adequacy of our education system. The fact is that in India we are still, by and large, trapped in the paradigm of teaching “content”. All over the world (including China), the shift has been towards teaching “skills”, that are necessary for making a truly global 21st century citizen. (The Times of India, Oct 09, 2012) For such ‘truly global 21st century citizens’ to emerge from our classrooms, it requires different pedagogy, curriculum, technology and infrastructure. But it would be ideal to assess where we actually stand in the school education scenario. The ground reality is that more than half of all children in Std. V are at least three grade levels behind where they should be. In 2010 nationally, 46.3% of all children in Std. V could not read a Std. II level text. This proportion increased to 51.8% in 2011 and further to 53.2% in 2012. For Std. V children enrolled in government schools, the percentage of children unable to read Std. II level text has increased from 49.3% (2010) to 56.2% (2011) to 58.3% (2012). (ASER 2012) There is some more pain for those concerned regarding education when one considers that the percentage of all children enrolled in Std. III who cannot read a Std. I level text has increased steadily from 53.4% (2009) to 54.4% (2010) to 59.7% (2011) to 61.3% in 2012. The percentage of all children enrolled in Std. III who cannot read a Std. I level text has increased steadily from 53.4% (2009) to 54.4% (2010) to 59.7% (2011) to 61.3% in 2012. For children enrolled in government schools, this figure has increased from 57.6% in 2010 to 64.8% in 2011 to 67.7% in 2012. In 2010, of all children enrolled in Std. V, 29.1% could not solve simple twodigit subtraction problems with borrowing. This proportion increased to 39% in 2011 and further to 46.5% in 2012. Barring Andhra Pradesh, Karnataka and Kerala, every major state shows signs of a substantial drop in arithmetic learning levels. The proportion of all children enrolled in Std. V who could not do division problems has increased from 63.8% in 2010 to 72.4% in 2011 to 75.2% in 2012. In rural India as a whole, two years ago about two thirds of all children in Std. V could not do simple division. In 2012 this number is close to three fourths. As far as English is concerned the picture is as grim or even worse. In ASER 2012, children were given a set of simple English reading and comprehension tasks. Across rural India, 48.9% children enrolled in Std. V could read English words or more, and 22.5% could read simple English sentences. Among all children enrolled in Std. VIII, 47% could read sentences. It is these children who graduate from schools to colleges and universities for higher learning and one can imagine the woes of the teacher and taught with this kind of grooming in schools. No wonder why our graduates do not come across as skilled and readily employable. It is beyond doubt that the poor performance of our graduates is inextricably linked to their skilling in school. Hence, it is fair to conclude that the root cause of our plight in higher education and resultant lack of skilled manpower and entrepreneurial talent lies in the substandard schooling. It is also fair to conclude that if India works hard at school education, it could all be turned upside down. Considering the dire state of key subjects and skills like Mathematics and English, Station-e has evolved the Complete Skills Solution for School which caters to the needs of training students for Vedic Mathematics and Communication Skills. It also trains the students for computer skills because it is fundamental to the access, and enables them for the digital ways of the 21st century education and workspace. It is significant that we bring Vedic Mathematics back because it will enable students to generate interest in Mathematics and sharpen the mathematical ability of students in the Indian way. The module on Vedic Mathematics can make a vital value addition to the school experience of a student and equip him/her with the ability to deal with the challenges of a subject like Mathematics. It is stating the obvious that the students find it difficult to catch up with the communication proficiency in English at undergraduate and post graduate levels and school students are much more receptive to language skills. Moreover, language skills incorporated into the education experience of school students would enable them to pursue more ambitious career options more confidently. During school years, if students are initiated into communication skills in English, they will be equipped with the language of access, opportunity and upward mobility and it will render them far more effective in pursuit of higher studies in India or abroad which is conducted entirely in English medium. There is another aspect to education that is inextricably linked with access and 21st century ways of knowledgecomputer skills. Students who are good at computer skills are enabled to operate in the digitally defined world of today, and those do not take it seriously find it difficult to spare time and energy later on from their demanding years of higher studies. Secondly, like language skills, students need to work on computer skills in the early stage of their education because it is not easier but it is also more advantageous in their studies and growth as 21st century students. A comprehensive skills repertoire for schools is one-stop solution for all that is required to be integrated into school education- Vedic Mathematics, Communication Skills and Computer Skills to prepare them better for challenges of school education and enable them to develop skills essential for increasingly competitive world of higher studies. Station- e Complete Skills Solution has been conceptualized to address the issue of school education with respect to equipping our school students to compete at national and international levels so that we find our rightful place in not only in PISA ratings but also subsequently in higher education ratings, and any other rating that may pose a challenge to the young Indian minds. 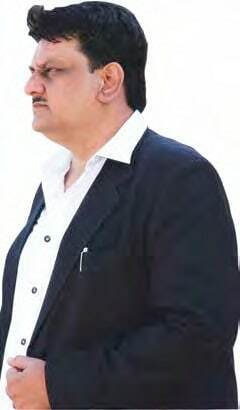 Dr. Haresh Tank is Director, Station-e Language Lab. In the capacity of Director, he is in charge of conceptualizing and operationalizing initiatives with a special focus on Skills Development. He holds a doctorate in Statistics and is a noted Statistical Analyst. He was also nominated for Young Scientist Award. With a passion for teaching and contributing to the society, he continues to serve as Associate Professor in Statistics. As a Director, Station-e Language Lab, he has initiated several projects in the realm of Skills Development with Government and private companies.